The permanent residency in Canada is the most searched and desired immigration term among the worldwide immigration applicants. Canada is obviously the most popular country for immigration in the world. It attracts most of the applicants, in view of its high living standard, lenient immigration policies, ideal settings for the overseas skilled workers and students, etc. It has been observed that the people, especially from the Asian countries, apply for Canadian PR in huge numbers. However, a handful among them only gets selected. The young individuals, particularly, want to secure a PR visa in Canada in no time. Let’s find out whether is it possible to get the Canadian PR in few month’s time or how long it actually take to get the permanent residency visa for Canada. How long it actually takes to get the PR visa in Canada? Well, Canada has designed various immigration systems and programs to allow the individuals to come to Canada on work, study, business or family sponsored category of visas. However, launched in January 2015, Express Entry System is considered as most popular and relatively fast immigration program in Canada. It claims to process your PR visa application within 6-12 months. The other immigration programs, such as QSWP, PNPs, and even partner category of visas, have got the more or less the similar visa processing time as well. How to get the Permanent Residency in Canada within 6-8 months? Making a list of key immigration programs that get you PR and applying to the all in time. Following up on the visa with immigration office. If you follow the above diligently, there is no reason you can’t get your visa in time. The preparation of file in advance and accuracy in application and document submission not only saves the time of the authorities but also eliminate any possibility of visa delay or denial in the interest of candidates. How Visas Avenue helps you get the Canadian PR in time? The Visas Avenue has established itself as a leading immigration consultancy for Canada in India in a very short span of time. The Visas Avenue today is the favourite immigration consultancy service for Canada for the thousands of immigration applicants across India. We at Visas Avenue work with a definite plan and thorough coordination with our clients to make them secure their PR visa in the targeted time. We reduce the work and headache of our clients to the large extent by providing them the key immigration consultancy services, i.e. ECA through WES, language certification through relevant authority, online profile creation and EOI submission, Visa filing, documentation assistance, visa follow up with office and so on. All the procedural things completed fast and accurately, reduce your visa processing time to a great extent and you get the approval within 6-8 month’s time. 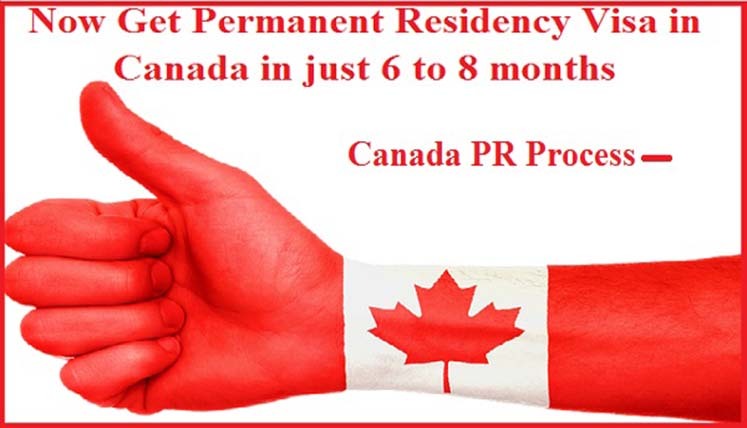 If you are also looking to get the permanent residency in Canada in the minimum possible time, just call the Canadian Visa and Immigration specialist our Toll Free No 78-18-000-777 or mail your queries or concerns regarding Canadian PR visa at info@visasavenue.com or want to talk with Visas Avenue immigration Experts visit our office located in Hyderabad, Bangalore,Mumbai and New Delhi. can i eligible for apply to pr in canada i have completed bsc nursing nd i have 3year experince . I am working as a supervisor(HRD) in one of the construction company for last six years,so i am eligible for PR visa clause to canada. Thanks to connecting with us, we need some details to check your exact eligibility kindly share your details at enquiry@visasavenue.com. I am 49 years old I am belong to computer professen should I eligible for P. R. In Canada? i am having 351 points for Canada Express entry. What are my chances of getting Invitation to Apply. Am i eligible for that? Hi, I am going for a provincial nomination, as my crs points are 64 instead of 67. can i change my application to canada PR if I get a job offer? Hello Gurcharan, Thanks for connecting with us. For details please share your Resume @adarsh.mishra@visasavenue.com or enquiry@visasavenue.com. we will check and inform you. Hello Davinder Singh, Thanks for connecting with us. For more details please share your updated CV on this Email ID:adarsh.mishra@visasavenue.com. we check your eligibility criteria and inform you.